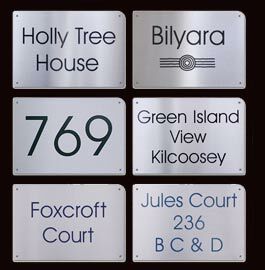 The Sign Maker for the very best in Bespoke House Signs : Screen printed house signs on marine grade stainess steel are exceptionally durable. 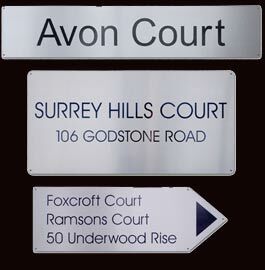 These stainless steel signs are made from the finest marine grade stainless steel and the lettering is screen printed for extra durability. 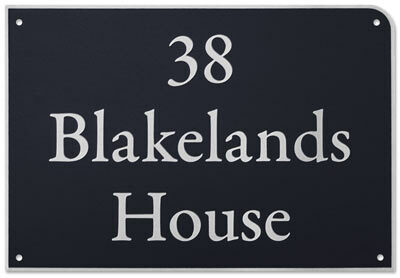 Both the house signs & office signs are available in a satin brushed finish, for an elegant and stylish design. There are six shapes both in the standard and reversed print styles. These are very low maintenance signs. 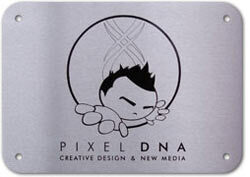 Letters are available in 3 standard fonts - Arial, Avant Garde and Garamond although others are available on request. Letter colours are Black, Burgundy, Dark Green and Cobalt Blue. 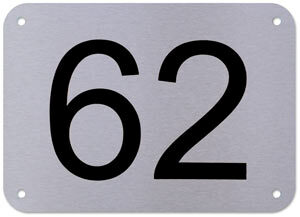 On the standard style the letters are printed but on the reverse style the background is printed. Both provide a classy hard wearing finish. Non standard colours £3.75. 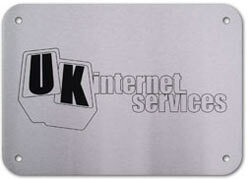 If you want to have a second print colour there is an additional £17.50 cost. 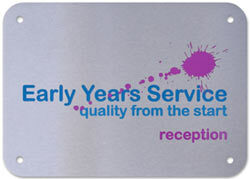 For more than two colours - send for a quote. Made in the UK. 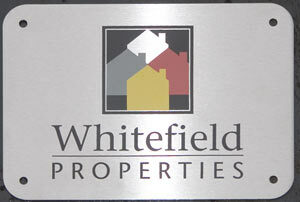 Our team at The Sign Maker looks forward to helping you with your printed stainless steel sign.